HMRC has announced that many of its expected digital changes will be delayed as staff are redeployed to deal with Brexit issues. This redeployment will affect the further rollout of “simple assessment”. In a nut-shell this was an attempt to take increasing numbers of individuals out of self-assessment by digitising the collection of data required. Apparently, the plan – to remove pensioners with pension receipts slightly above their personal allowance from the requirement to file a tax return – will continue as planned. Another project impacted by the delays is the change to real-time tax codes. This was the process where apparent underpayments are coded out in-year, as soon as HMRC becomes aware of the change. Many practitioners will breath a sigh of relief. 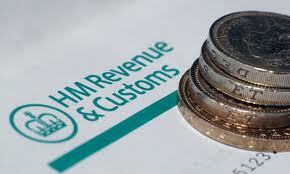 Attempts by HMRC to trial the MTD for individuals have resulted in unexpected “glitches”. However, the digital returns of VAT data from April 2019, for businesses with turnover above £85,000 will go ahead as planned. Further roll-out of MTD beyond this VAT application is now in doubt. Certainly, there will be no attempt to extend MTD until April 2020 at the earliest. Practitioners and their software providers will need to ready their clients for the VAT application next year, as for the rest of the MTD agenda, HMRC will need to solve their redeployment issues as well as systems problems before the rest of the MTD agenda can be attempted.